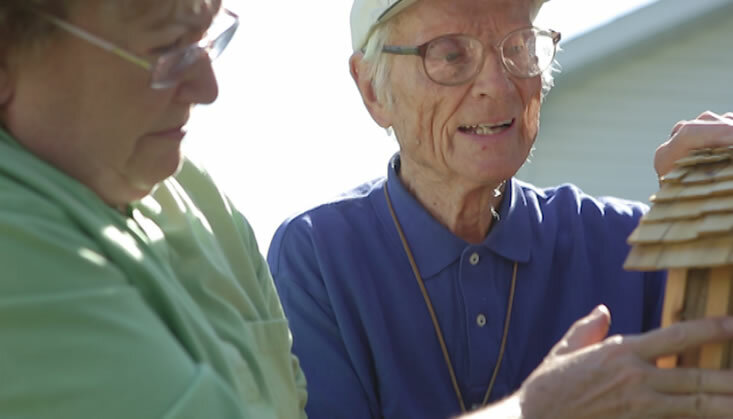 In many ways, the most valuable gift you can give to our seniors is the gift of your time. Driving a senior to a doctor’s appointment or to the grocery store. Giving a caregiver some respite time, even for an hour or two. Visiting a senior on a regular basis. Or helping with parties, entertainment or working in the gift shop. If you’re interested in volunteering in Assisted Living, whether it’s to spend time with a senior playing cards or engaging in conversation or activities, please call 585.388.2383. In Skilled Nursing we have a need for volunteers in a variety of capacities including transporting residents in wheelchairs to the beauty salon and barber, going to the Chapel, or for companionship. Please call 585.388.2323. The Service Board of FBH is a very active group from area churches who focus on the needs and happiness of the residents of Fairport Baptist Homes. They meet once monthly at FBH and coordinate activities and service all year round. Some of their activities include visiting the residents, reading and helping with other functions. Foundation Volunteers – Do you want to give back and make a difference in the lives of seniors in our community? The Fairport Baptist Homes Foundation serves as the central fundraising arm of Fairport Baptist Homes. The Foundation encourages public awareness and philanthropic giving on behalf of Fairport Baptist Homes. Major initiatives include the highly successful Swing for Seniors Golf Tournament, the Step Up for Seniors Walk and various fundraising and community relations activities throughout the year. For information, contact Kathleen Zastrow at: (585) 388-2322 or kzastrow@fbhcm.org.